The focus at B. Young RV is to exceed the RV community’s expectations. They are committed to providing a welcoming and informative environment for you as you explore some of the finest RV’s available today. 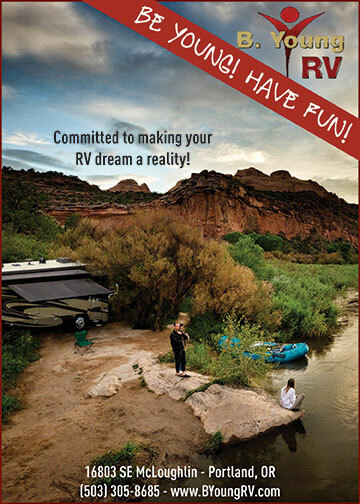 Their goal is to assist you in making your RV dreams a reality. Knowledgeable, professional, reliable, their staff always strives to provide the highest level of RV Services. They are dedicated to providing the best RV match for you and your family, giving a lifetime of enjoyable RV experiences. They are here to serve all of your RV needs. You will find an outstanding parts and accessories department with great deals and a factory authorized RV Service center with certified RV technicians to keep your RV systems running smooth.